I’ve been exploring some of London’s local archives lately and one of the finest and friendliest I’ve come across so far is definitely the Islington Local History Centre. Islington has an incredibly rich film history. The now-demolished house at 3 Albion Place, off Liverpool Road, was the birthplace of film pioneer R.W. Paul, who later established his workshop nearby in Hatton Garden. A few decades later, in 1919, Poole Street was chosen as the British base for the US production company Famous Players-Lasky (later Paramount), who converted an old power plant into the country’s most state-of-the-art film studio. Inside the Islington Studio in the 1920s. Famous Players didn’t stay long, but they did give a kickstart to the career of the young Alfred Hitchcock (who got a job with the company designing title cards), and provided a future home for Michael Balcon’s Gainsborough Pictures. Another studio facility over in Highbury was set up in the thirties, later becoming the home of J. Arthur Rank’s Company of Youth, better known as the Rank ‘Charm School’, set up to train prospective British movie stars. Islington was also a busy patch for early film exhibition. Chris Draper calculates that, in the peak year of 1914, there were 29 different venues in the district, a figure that levelled out to the high teens during the 1920s-1950s. 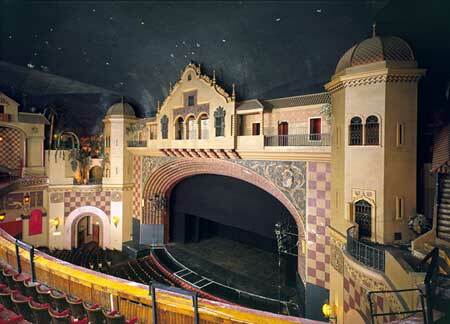 These venues included the Empress Electric Theatre (opened in 1910, revamped in the 1970s, and still open today as the Screen on the Green, pictured at the top of this post) and the massive, 3,000-seat Astoria on Seven Sisters Road, an ‘atmospheric’ cinema decorated inside in a combination of Mediterranean and Middle-Eastern styles (later re-purposed as a rock venue, the Rainbow, and now in use as a church). Sam Nightingale’s beautifully illustrated website, Islington’s Lost Cinemas, records the traces of some of the other film venues in the area. I mention all this because, from May 10, the Islington Museum (nextdoor to the Local History Centre), is hosting an exhibition – ‘From Hollywood to Highbury’ – about Islington’s cinematic past. There’s also a display in the Local History Centre about the Astoria Cinema and its later incarnation as the Rainbow Theatre, with a talk from a former stage manager on May 17. I’ll try to report back on the exhibition once it’s underway, but for now here’s a sample of some of the material I’ve come across about the history of film in Islington and its neighbouring parts of London (mainly books and articles, some of them open access). Jon Burrows, ‘Penny Pleasures: Film Exhibition in London during the Nickelodeon Era, 1906-1914’, Film History, 16.1 (2004), 60-91; and, ‘Penny Pleasures II: Indecency, Anarchy and Junk Film in London’s “Nickelodeons”, 1906-1914’, Film History, 16.2 (2004), 172-197. 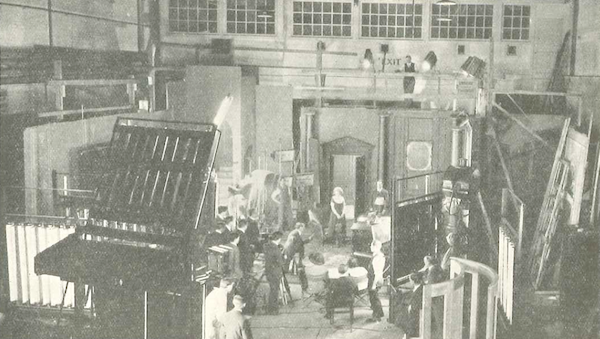 Pam Cook, ‘On Memorialising Gainsborough Studios’, Journal of British Cinema and Television, 6.2 (2009), 249-255 (pdf). Chris Draper, Islington’s Cinemas & Film Studios (Islington Libraries, 1989): available to purchase from Islington Local History Centre. Pierluigi Ercole, ‘Migrant People, Moving Images: Italian Immigration, London’s Little Italy and the Role of Cinema in the Early Twentieth Century’, in Laboratorio Di Nuova Ricerca: Investigating Gender, Translation and Culture in Italian Studies, ed. Monica Boria and Linda Risso (Troubador, 2007), pp. 21-31: on the early exhibition and reception of films in Clerkenwell. Luke McKernan, ‘Diverting Time: London’s Cinemas and Their Audiences, 1906-1914’, London Journal, 32.2 (2007), 125-144 (pdf). Alex Rock, ‘The “Khaki Fever” Moral Panic: Female Spectators and Women Police at the Finsbury Park Cinema, London, 1913-1919’ (Kindle Edition: available to purchase via Amazon). Tom Ryall, Britain and the American Cinema (SAGE, 2001), pp. 25-33: on US companies working in Britain, including Famous Players-Lasky. Patricia Warren, British Film Studios: An Illustrated History (Batsford, 2001).